As a caregiver, you know how much time it takes to provide adequate and quality care for your loved ones. Adult caregivers, who also have family responsibilities, work or school obligations have very little time left over in their day to make multiple trips to a supply company, especially if one is not nearby. For this reason, accessing a supply company online is one of the best choices a caregiver can make. Ordering supplies through medical supply company allows you to order bulk supplies, as well as supplies that you'll never find in your local drugstore or pharmacy. What do Medical Supply Companies Offer? A medical supply company offers medical supplies not only for home-based caregivers, but supplies for doctor's offices, clinics, outpatient centers and hospitals. Discount medical supplies, medical equipment, surgical equipment as well as home healthcare supplies offer a variety of tools and devices to help make caregiving easier. One of the most popular and purchased items at a supply company is durable medical equipment. Wheelchairs, walkers, ambulatory canes, and even stair lifts or lift chairs can be ordered through a medical supply company. Accessing such equipment online offers easy ordering and home delivery, sometimes with no shipping, handling or delivery charges. Actually, the list of providers and manufacturers for all types of medical supplies available through a physical or online company are also endless. The list is endless. Whether you need a stethoscope, sanitary gloves, blood glucose testing strips or a pulse oximeter, you can find it through a medical supply company. Wholesale medical supply companies offer large savings on a number of products. Whether you offer home-based care in your own home or at the home of an elderly loved one, take advantage of the opportunity for one-stop shopping that doesn't even require you to run errands that can take hours out of your day. Save time, money, and reduce your stress level by researching a number of medical supply companies online. Find the one that offers the most variety in the types of supplies you need. Compare costs, and determine whether you may qualify for free shipping and handling. Time is valuable to any caregiver, and taking time out of your busy schedule to go hunting for medical supplies at a drugstore, a pharmacy, or your local medical store can eat up a good chunk of your day. Ordering bulk supplies or bundling your items with online shopping offers reduced prices and saves you the valuable time that you treasure. Some of the most popular items sought online also include aids for daily living including personal care, and bathroom safety items that include transfer benches, raised toilet seats, and stools. All medical supply stores and companies offer products for incontinence care including adult briefs, external catheters, and leg bags. 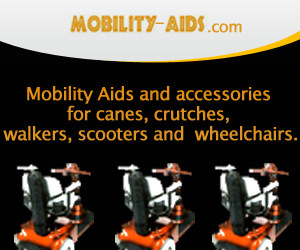 Durable medical equipment like wheelchairs is available in standard or power options. Scooters can also be ordered online. Take care of wounds at home with medicated wound dressing and sterile supplies ordered over the Internet. Ostomy supplies also include flanges in various sizes, as well as cleaners, deodorants, and a variety of bags. Give yourself a break. Take advantage of the use of online ordering from a supply company. Spend your time wisely; offering your elderly loved one the best you can while at the same time meeting your family and work obligations and responsibilities. 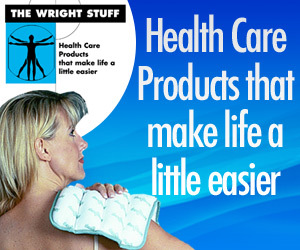 Make your life easier with one-stop shopping through an online medical supply company.